1- Tissue tightening to decrease skin laxity. 2- Laser energy greatly decreases buises & bleeding. 3- Smooth destruction of fat cells to avoid fat lumps & islands. 4- Easier and faster recovery, usually 2 days. Power assisted Tumescent Liposuction: New Swiss & German machines create certain vibrations that are targeted at breaking down the fat deposits while removing it out through a thin tube under local anesthesia. It combines the safety of tumescent liposuction with the ease and power of the vibration machines, while avoiding risks of Laser & ultrasound. 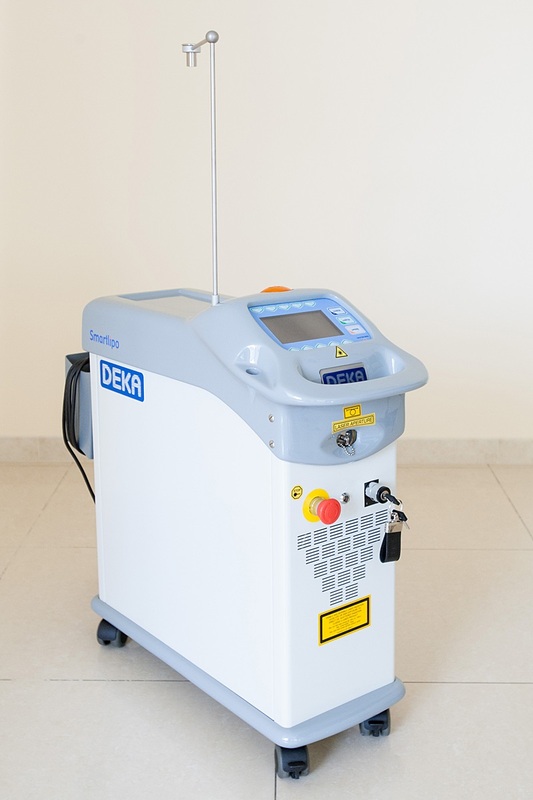 Laser Assisted Liposuction (Slim Lipo): Laser energy is applied to help liquify the fat, tighten the skin, prevent significant bruises & facilatetes fat removal. 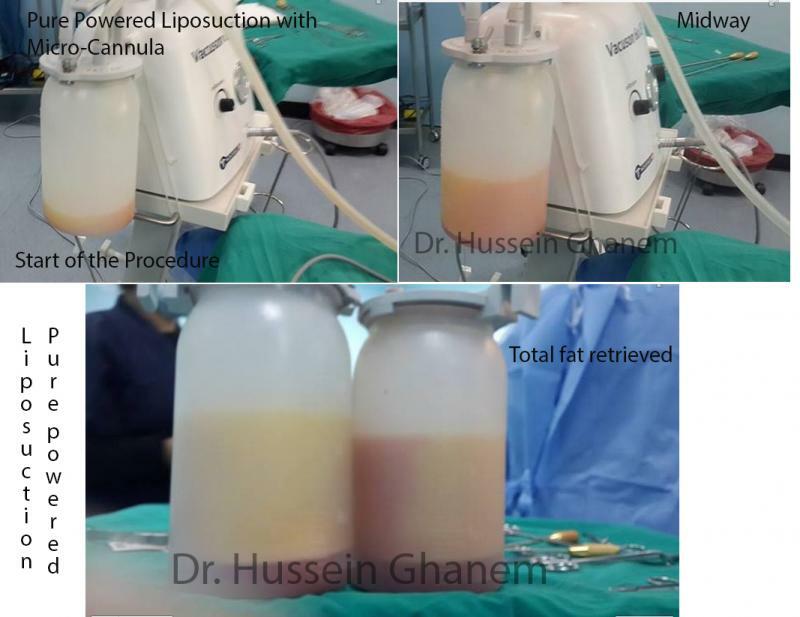 Tumescent liposuction with Local anesthesia:This is the most common type of liposuction. It involves the infiltration of fluid into the area to be suctioned. The fluid has a local anesthetic as well as adrenaline to reduce bleeding and prolong the anesthetic effect. The surgeon uses a thin tube (cannula) attached to a vacuum to remove fat from under the skin. Local anesthesia is safest while the tumescent fluid facilitates aspirating the fat outside the body.